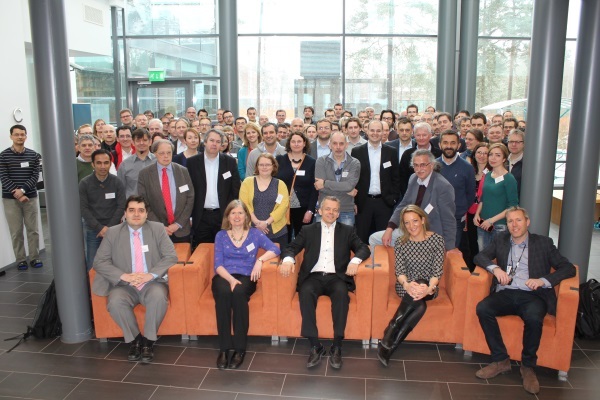 EUDAT’s vision is Data is shared and preserved across borders and disciplines. Achieving this vision means enabling data stewardship within and between European research communities through a Collaborative Data Infrastructure (CDI), a common model and service infrastructure for managing data spanning all European research data centres and community data repositories. European researchers and practitioners from any research discipline can preserve, find, access, and process data in a trusted environment, as part of the EUDAT Collaborative Data Infrastructure a network of collaborating, cooperating centres, combining the richness of numerous generic and community-specific data repositories with the permanence and persistence of some of Europe’s largest scientific data centres. EUDAT offers heterogeneous research data management services and storage resources, supporting multiple research communities as well as individuals, through a geographically distributed, resilient network distributed across 15 European nations and data is stored alongside some of Europe’s most powerful supercomputers. EUDAT is a Service-oriented, Community driven, Sustainable and Integrated initiative. For more information on the EUDAT services, check out the Service Catalogue. One of EUDAT’s main ambitions is to bridge the gap between research infrastructures and e-Infrastructures through an active engagement strategy, using the communities that are in the consortium as EUDAT beacons and integrating others through innovative partnerships. Practical examples of this engagement strategy is illustrated through the Use Cases.